This is the story of a national darts champion, a former Team GB hockey goalkeeper and memories of an idyllic rural Suffolk pub, now gone. When I first interviewed Trevor Peachey (pictured) in 2006, it was to celebrate 50 years since the then 26-year old nurseryman from Suffolk, had stepped up on to the stage at the Empress Hall, Earls Court, London and became the News of the World Individual Darts Champion for 1956. 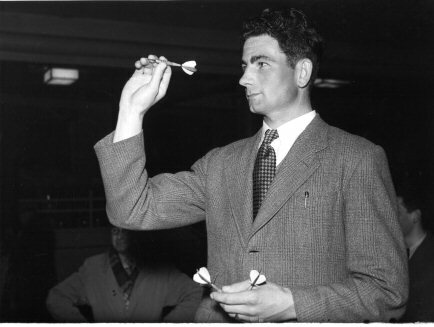 The News of the World (NoW) Individual darts tournament had been run in pubs on a ‘national’ basis (in reality only England and Wales) since the start of the 1947/48 season. Before that a competition had been run in the Metropolitan area of London (since 1927) and in Wales and a growing number of diverse English divisions since 1936. The competition was to become known as ‘the tournament every darts player wanted to win’. After the Second World War it became one of the few sporting opportunities that the ordinary, working class man had of becoming a national champion. 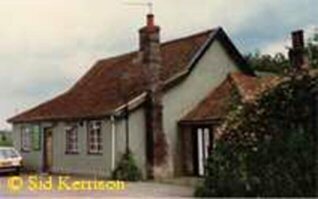 Pubs up and down the country began with ‘house’ competitions, the champions of which then moved on to Area finals. Further success took the players to the Divisional finals and then onwards for the few to the Grand Finals in London. Thousands of darts players entered every year (the News of the World claiming 289,866 entrants for the 1947/48 competition) and each year they were reduced to just a handful. From the very beginning and during these early post-war years was not money but a huge trophy (held by the champion’s pub for a year) plus a replica for the winner and fame. The NoW was the chance for any man who could throw a great dart to become not only a local but a national hero. Trevor Peachey was one such man. Even before his appearance in the Grand Finals he had shown early promise in the 1947/48 season, when he became the Ipswich Area Champion at the age of 18. But it was in the early 1950s that Trevor showed his real prowess being runner-up in the Ipswich Area in 1953/54, Ipswich Area Champion again in 1954/55 and once more in 1955/56, he then went on to lift the trophy that every dart player in the land wanted to win. Trevor was born at in Thurston, Suffolk, a small village four miles east of Bury St. Edmunds and ten miles west of Stowmarket, on 7th September 1929. His father, Andrew, was an insurance agent and had fought in the Great War as a member of the Royal Engineers and gained the Military medal and Bar. Trevor’s mother worked in service at nearby Shotley whilst his grandmother ran the Victoria pub in Norton Road in the village. Trevor first took to darts when he went into Ipswich one day with his friend Bobby Austin and bought a set of three loose brass darts in Woolworth’s for 3s 3d (about 16p in today’s money). Not only did Trevor begin to play regularly but he kept the same set of darts and even won the News of the World with them years later. Trevor practised, not at the Victoria,but at the Black Fox, Barrells Road (pictured, photo courtesy of Sid Kerrison) and regularly played friendly matches in the pub team. Trevor told me, “When I first started playing in the Black Fox, the lighting for the dartboard was a paraffin lamp hanging on the wall. To stop the light shining in your face they put a cigarette card in it to cover it up a bit.” (Sounds dangerous to me Trevor.) The lamp was later replaced by a cleaner, more efficient, tilly lamp which worked off of a gas cylinder. Trevor pointed out, “There was no electricity or gas in the village at that time.” It was from the Black Fox that Trevor regularly entered the News of the World championship. I trawled the internet for information about the Black Fox but found little, although the Suffolk CAMRA website did state that the pub was ‘marked as a beerhouse on a map dated 1887’ but probably dated from an earlier time. The pub appears in the Good Beer Guide for the first time in 1980 where it was described as a ‘Tiny, beer-only free house’ offering Greene, King (Bury) Mild and IPA and pub games. 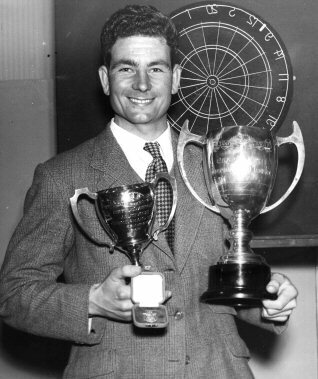 Trevor’s best darting year came in the 1955/56 season when he at last made it to the Grand Finals. A couple of coach loads of supporters left from the Black Fox and travelled down to London to witness Trevor taking on the best darters the country had to offer. With his 18grm brass darts he beat Herbert Morris (Lancashire and Cheshire Divisional champion and 1953 Grand Finalist) in the Quarter Finals 2-0 - Trevor scoring a ton-forty along the way - and then saw off a strong challenge from Yorkshire champion, and NoW regular, Frank Radforth 2-1 in the semis. In the Final Trevor met Wales’ Les Campbell and white-washed the Welshman 2-0, Trevor saying that Les had ‘wire trouble.’ So there was no singing in the valleys that night but plenty on the coaches on the way home to Suffolk. The Black Fox is no longer a pub and Trevor no longer plays darts but he still takes a close interest in the sport. He lives in retirement near Coventry with his wife Phyllis who he married in 1957 and spends as much time as he can employing his nurseyman skills in his own garden. Ady also recalled driving former England Team GB hockey goalkeeper Joanne Thompson out to the Black Fox to show her real, rural Suffolk. 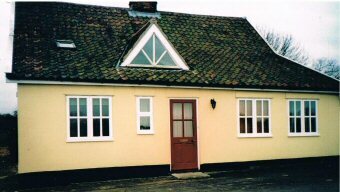 Ady said, “Jo was so taken by the place, so impressed that she bought a cottage in the village about two fields away from the pub. Unfortunately, not long after she moved in, the pub shut.” But fortunately for Jo, both the Victoria (already cited) and the other pub in Thurston, the Fox and Hounds in Barton Road remained, and remain to this day, open for business. That sounded to me as though the Black Fox was the kind of traditional, rural beerhouse that real ale fans would move heaven and earth to preserve for posterity but, alas, it was missing from the 1990 Good Beer Guide. The final pint was served and the Black Fox closed its doors in 1991. Unlike many other dead pubs, now Indian restaurants, private houses or mini-supermarkets, as the final image shows, the Black Fox looks very much as it that day in 1956 when Trevor Peachey returned from London in triumph…but I guess a lot quieter. My thanks to Sid Kerrison for permission to reproduce his image of the Black Fox in this article. Image of the Black Fox as a private house today © Trevor Peachey. Used with permission. Images of Trevor Peachey courtesy of the Peachey family collection. News of the World Individual Darts Championship of England and Wales – Match programme of championship games dated 28th April 1956. Chaplin, Patrick - Interviews with Trevor Peachey, November 2004 and October 2006 and subsequent telephone conversations.